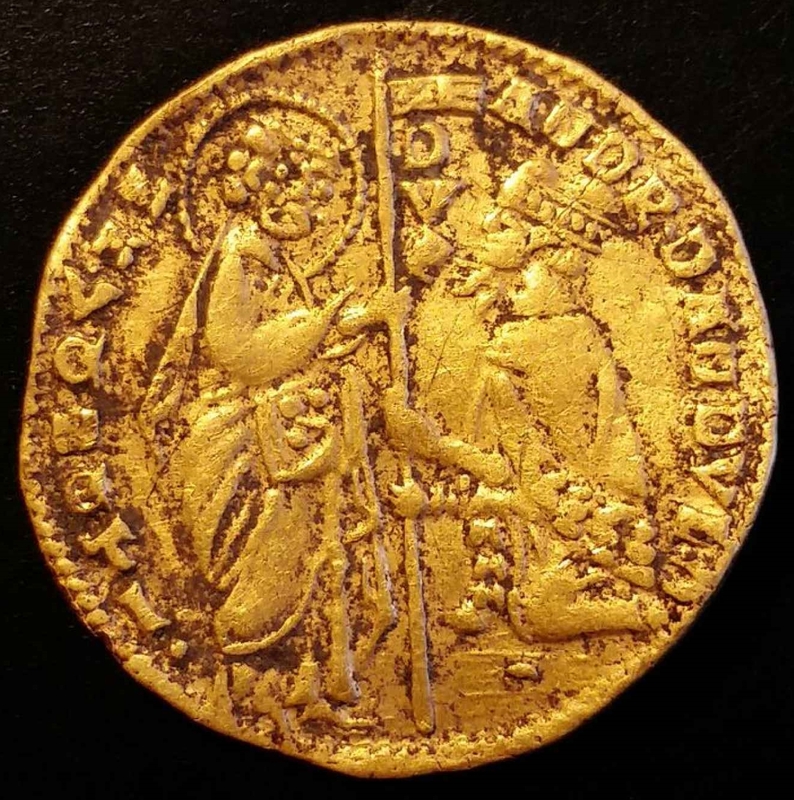 Archaeologists have a most unexpected discovery in an excavation of the medieval port town of Elleholm in southern Sweden: a 14th century Venetian gold ducat. 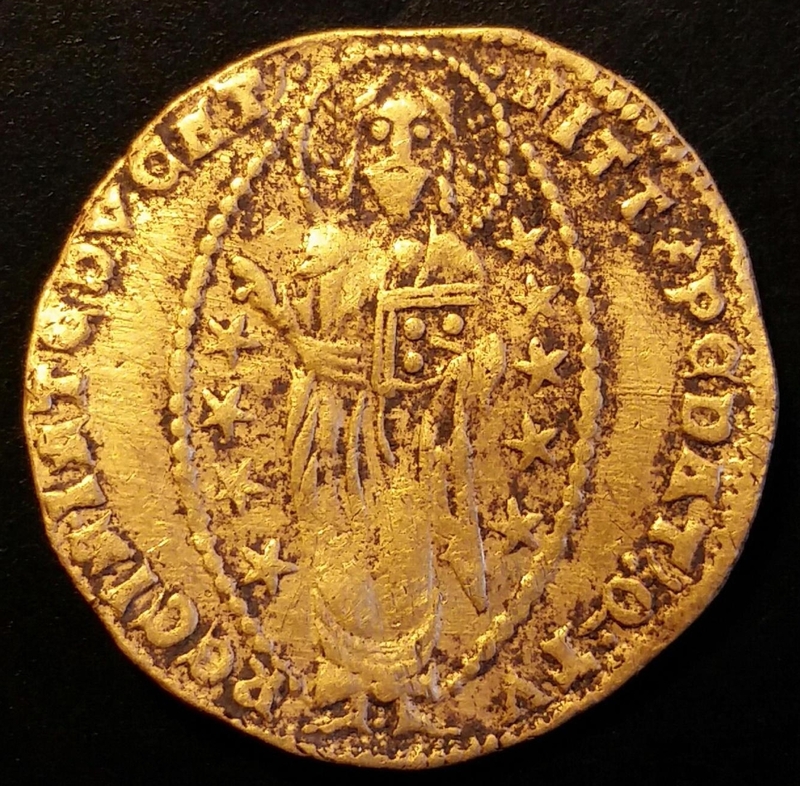 It is the first coin from medieval Venice ever found in Sweden. It was minted during the rule of Doge Andrea Dandalo, the the 54th doge of Venice who reigned from 1343 to 1354. On the obverse is a depiction of Jesus Christ surrounded by a pointed oval of light known as a mandorla (almond). The reverse features Saint Mark giving a standard to the Doge. Elleholm is an island in the Mörrumsån river so small the town occupied pretty much the entire surface area. It was founded around the castle of Sjöborg and there is tree-ring evidence from the remains of a bridge that it was an active port already in 1343 even though it was only given official municipal rights in 1450. The castle is first mentioned in historical sources in 1424. There was excellent salmon fishing in the river and while the island was small, there was enough river around it to make viable shipping lanes. The Blekinge region was Danish territory then. The Archbishop of Lund (Lund was a Danish diocese) inhabited the castle and owned the city until the Reformation kicked out the Catholic bishop in 1536 and Elleholm was transferred to the Swedish crown. It saw a lot of action in its short life. The city was raised in 1436 by the forces of Swedish nobleman Engelbrekt Engelbrektsson during his rebellion against the Kalmar Union (the union of Sweden, Denmark and Norway under one king, Eric of Pomerania). It was destroyed again in 1524 during the Scanian rebellion of Søren Norby in support of Christian II of Denmark who had been forced to abdicate the year before. The see of Lund was suppressed in 1553 and by 1600 the once-prosperous port town was abandoned. It wasn’t ideally located for a major shipping center. It was upstream and so small that bigger ships couldn’t comfortably reach the island itself. With larger ships, larger cargoes and greater volumes of trade, successful ports had direct access to the sea. The city of Elleholm was never rebuilt and today there aren’t even any remains of it above ground. It was only excavated once before in 1924 and that was a small exploration of the castle. Blekinge Museum and Kulturen, a folk history museum in Lund, began digging at Sjöborg in 2016 and have continued every season since then. Their discoveries have revealed a whole new picture of the history of this mysterious site. The gold ducat and another artifact found in the dig — a Flemish lead seal dating to the first half of the 14th century — are evidence that Elleholm did international business from close to its inception, more than a century earlier than scholars previously believed it to be active. This entry was posted on Wednesday, September 5th, 2018 at 11:31 PM	and is filed under Medieval. You can follow any responses to this entry through the RSS 2.0 feed. You can skip to the end and leave a response. Pinging is currently not allowed. The city was razed (destroyed), not “ raised” (as in built). I wonder if the word ‘raze’ is the root for ‘razor’, as in ‘Every day I raze my whiskers’? Presumably ‘eraser’ could be related too.